If you’ve heard in once, you’ve heard it a thousand times: proteins are the building blocks of life. Every cell in your body contains protein, and we need protein in our diet to keep our cells healthy – by repairing existing ones and making new ones. The recommended dietary allowance (RDA) for protein is 0.36 grams of protein per pound that you weigh. You can find online calculators that will help you determine the amount of protein you need every day, but the easiest way to do it is multiply your weight by 0.36. For example, if you weigh 175 pounds: 175 pounds x 0.36 grams of protein = 63 grams of protein needed in your diet every day to help maintain your healthy lifestyle. When protein-rich foods are digested, they get broken down into amino acids, essential to maintain good health. Amino acids are found in foods such as meats, milk, fish and eggs. The healthiest sources come from whole plant sources including soy, beans, legumes, and some grains like wheat germ and quinoa. 1. Hemp is easy to digest. Hemp is a globular protein, meaning that it dissolves easily. That makes it readily accessible for the body to use. Soy protein, on the other hand, contains inhibitors that block the action of enzymes needed to break down protein, which may cause bloating and gas. 2. Hemp protein contains essential fatty acids. Many “standard” sources of protein, like dairy products and red meat, can be high in saturated fat. Hemp is low in saturated fat and contains the essential fatty acids (omega-3 and omega-6 ) in an optimal 3:1 ratio. 3. Hemp is sustainable and good for the earth. The hemp plant is a fast-growing plant that kills weeds due to its dense growing pattern. Therefore, it is unnecessary to use pesticides or herbicides when growing hemp. See our petition about Industrial Hemp Farming. 4. Hemp is rich in fiber. Fiber has been shown to lower your risk for heart disease, Type 2 diabetes, and can help alleviate constipation. 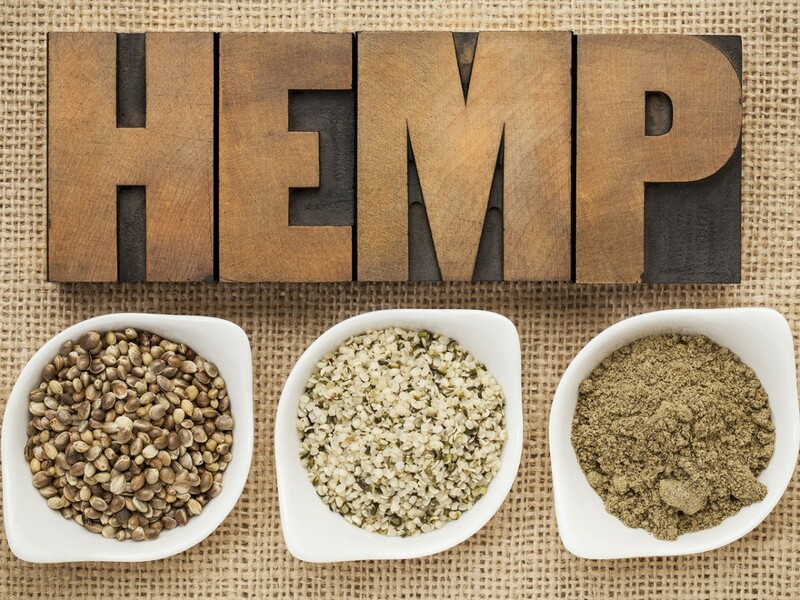 In addition, if you have lactose intolerance or are allergic to whey or nuts, hemp is a perfect alternative. So, when considering which types of protein are the best in your diet, take another look at hemp!